Music is a universal language. Using authentic musical selections with language learners can be very motivating to students and a friendly way for students to hone their listening skills. Songs lyrics can be presented in written format, as an audio clip or as a music video (sometimes with subtitles). And, at times, students may be familiar with the artists. Why use music as authentic text in the language classroom? Konig, Patricia. “Language Can Be Music to Students Ears.” The Language Educator, 2011. Alternate Title: Invent a new title for the song. Alternate Verses: Given every other verse of the song, imagine the missing verses. Before and After: Imagine what happened before and after action(s) in song. Category Lists: Place words heard in specified categories. Variation: Given lyrics, read and place words in categories. Chronological Order: Given a list of actions in song, decide probable order of occurrence. Listen to verify correctness. Cover Design: Draw a CD cover to represent theme in song. Variation: Given a CD title, imagine the cover. Cover Speculation: Make conjectures based on CD cover. Dialogue Adaptation: Adapt song to a dialogue. Figures of Speech: Locate similes and metaphors in lyrics; discuss. Four Corners: (1) After hearing song, go to designated corner of room (“love,” “like,” “don’t like,” “hate”) and discuss impressions. (2) Line up to show degree of like/dislike for song; discuss. (3) Rotate partners in inside-outside circles to share opinions about song. Grammar Recognition: Raise hand/card or stand when you hear a selected grammatical feature in song (specific tense, gender, subjunctive, etc.). Guess the Title: Listen to song and try to guess title. Imitate the Songwriter: Write a new song on the same topic or change original lyrics. Incorrect Lyrics: Correct lyrics as you listen to song (listen for extraneous words or substitutions). Key Words: Take word card or picture and stand when/if you hear your word in song. Variation: Given a list of possible words, check off if you hear a word in song. Letters: Write a letter to the singer. Lyrics Modification: Substitute other logical words for underlined words in song. Motivation: Speculate about reasons for writing song. Name That Word: When music stops before end of song, tell last word sung. Variation: Predict next word. Predictions: Before hearing song, predict which words might logically fit in lyric blanks or which words would rhyme. Ratings: Listen to snippets of songs to rate/compare. Stories: Narrate or write out story from song. Variations: (1) Retell from another person’s point of view. (2) Write as a newspaper article. Title Associations: Given song title, brainstorm list of words you might expect to hear in song; check off list as you listen. Video Speculation: Imagine video of song. Word Search: Given list of words, listen for synonyms/antonyms in lyrics. Songs not only provide practice in the interpretive mode for students, but can also serve as a springboard to interpersonal and presentational tasks. Many of our language colleagues have aligned popular songs in the target language to grammatical structures that they demonstrate in context and have generously shared those lists/databases with the rest of us. El mundo de Birch Spanish amazing music database!!! In a proficiency-based classroom, students are assessed using real world tasks that allow them to demonstrate their language skills through performances. Giving students real world tasks comes as close as possible to an actual situation language learners might encounter with a native speaker in the target language. Within the task, students interact with authentic text to practice interpretive skills and to add ideas for students to use in their final product, whether it be through speaking or writing. When considering creating performance assessments for students, it is important to understand the difference between performance and proficiency. In essence, students have been “frontloaded” with the language they need for a performance assessment. The assessment is typically given after having explored a particular topic or theme which the students have been practicing. Proficiency is measured when a student reacts to a prompt that may not be based on a recent topic covered in class. Students access language they need from their previous experiences and what they know about how language works to complete the task. Performance assessments can range from focused on a single mode or involving integrated modes. Essential elements include: learning target (can-do statements), proficiency target, proficiency-based rubric, instructions to the student, and a scenario. Find an authentic text that is aligned to the unit theme, at the appropriate level for students’ age and expected proficiency level, and is interesting to students. The text might be in the form of a quote, an infographic, or a short video or audio clip. Offering choices in the authentic text is learner-friendly and gives students a sense of control in the task. Scenario: You’re on vacation with your family in Paris. After feeling a little off yesterday, you woke up feeling horrible. You think you have a cold, because you have a headache, a sore throat and you’ve been coughing non-stop. You need medicine! You decide to go to a nearby pharmacy. The pharmacist asks you to explain how you feel and what you need. Describe how you feel to the pharmacist. Use your notes from the infographics. Any other information that the pharmacist would find helpful. Scenario: You have been going through your closet and you know that you need to get rid of a few things. The items are still in great condition, so you decide to put two outfits on eBay to sell. In order to reach more potential buyers, you have decided to create your post in Spanish. You also want to include in your post reasons why buying second hand clothing is environmentally friendly. Authentic text: Select one of the infographics below to take notes on why buying second hand clothing is earth-friendly. Feel free to include any other relevant information in Spanish. Students may be very anxious and self-conscious about performance assessments. Struggling learners may feel unprepared, unsure, are afraid to take risks, and do not feel skilled at the content. One solution may be providing graphic organizers for student to use to take notes from the authentic text and to organize their thoughts and brainstorm language they want to use to express their ideas. Here is a link to a Powerpoint with multiple generic graphic organizers to use for performance tasks. We know that the ACTFL Core Practices encourage us to use authentic resources as much as possible in our teaching. work for guided and independent activities and assessments, and other aspects of our lessons. How do we find and curate all of the authentic resources we’d like to use in our lessons for a thematic unit? Let’s begin by considering the variety of authentic resources that may exist around a particular theme. What if you want to collect your own set of authentic resources for a particular theme? Which authentic resources will you use as lesson hooks that are high interest to your students? Which authentic resources will support vocabulary input or reinforcement? Which authentic resources provide a context for teaching grammar in context? Which authentic resources will you group together of varying difficulty levels to provide challenge for all learners in the form of tiered text or tiered tasks? Which authentic resources will students use as a basis for interpersonal tasks? for presentational tasks? Which authentic resources will allow students to practice their listening and viewing skills? For which authentic resources will you create a graphic organizer to assist students in capturing what they learn from the text? Which authentic resources will be the context for performance tasks? Which authentic resources will be the basis of learning centers that allow students to work independently across the modes of communication? Which authentic resources will be the context for guided discussions? Comparing and contrasting school lunches in the US vs. a target language country. Because of the highly visual nature of many authentic resources, they can easily be used to introduce and reinforce new vocabulary because they provide a context for learning the words and phrases. Using authentic resources for the input phase of the lesson adds interest for the learners and injects real world connections. Infographics that illustrate results from a survey often provide visuals for the theme of the survey and give the context of what peoples’ preferences are. They offer the opportunity for students to make predictions about survey results and compare and contrast them with their own opinions. Instead of learning about or practicing vocabulary related to body parts by looking at a drawing of a nondescript person, think about how much more engaging it will be for students to talk about body parts in the context of a famous soccer player’s injuries. Initially covering up the labels on an infographic as the teacher introduces the new vocabulary and then revealing them while checking for understanding. Students have a version of the infographic with blanks where the vocabulary words are and a word bank with the new words. As the teacher introduces the new vocabulary, students write the appropriate words and phrases into the blanks. Students are given a version of the infographic in pieces. They assemble the “puzzle” as the vocabulary is introduced. Using authentic text with young language learners can present multiple challenges. Students in Pre-kindergarten, Kindergarten and the primary grades are often not yet literate in their first language. As a result, using authentic resources that are heavy in written text are not appropriate to use with most young learners. Because songs, rhymes, and poems often have repetition and rhyming words, they are very user-friendly for young language learners. Adding gestures to songs, rhymes, and poems will assist students in comprehension of the text. At the very heart of the raison d’être of cartoons is to engage young children. Cartoons in any language appeal to young language learners. There are many target language cartoons available online through YouTube and can be aligned to thematic units such as family, celebrations, travel, and making friends. Click the image below to visit my webpage where I have linked several cartoon series in various languages. Although not all visuals can be verified as “authentic text,” there are visuals available that have target language contexts. The Pinterest board linked below offers a selection of visuals that can be used for practicing the interpretive mode, leading to both speaking and writing prompts. Interpreting pieces of art can be the basis for speaking and writing prompts for young language learners. Not only are visuals a type of text, but by being fine art, a cultural context is added. When students describe a painting, they can talk about the colors, the items in the picture, their location in relationship to one another (prepositions of location), the time of day, weather, describing the people in the painting, etc. Students can describe the colors they see, the items in the room, and their position in the room. The student learning can be extended by then learning about the artist. This is a sequel to my first post on “Teaching Grammar in Context Using Authentic Resources” posted on April 13, 2018. Many of the above mentioned strategies allow students to use an inductive approach to figure out the “why” and “how” of grammar in context. Some have more structured protocols than others. Which one you choose depends on your students, the particular grammar point you want to highlight, and what works best for your teaching. For this post, let’s turn our attention to examples of how authentic resources that might be used to teach grammar in context, thus combining two of the core practices. The most natural way for students to gain an understanding of grammar in the target language is for them to see it being used in context. Context carries meaning for students in lieu of learning “about” grammar in isolation, often in English. In no way do the Core Practices imply that grammar or structure are no longer important to language learning. Looking closely at the NCSSFL-ACTFL Can-Do Statements, beginning at the Intermediate High proficiency level (in the case below for interpersonal communication), students must be able to exchange information and interact across various time frames. At those levels, language learners must have structural understanding to be able to communicate in a variety of tenses. A great place to start with teaching grammar as a concept and using it in context through authentic resources is to use memes and quotes. Memes (although they cannot always be verified as authentic) are examples of grammar in context mixed with humor. Many of them involve cats, dogs, and characters from television and movies. A series of memes that are examples of a particular grammar point can be shown to language learners to have them draw conclusions about how that particular structure works. One way to approach this task is to give small groups of students one meme. Students analyze the meme first for meaning. What is the meme trying to say? Students use the visuals, cognates, words they already know, and words that may be related to ones they know to help them unlock the meaning. The teacher circulates in the classroom and assists students with guessing the meaning of words with which they are unfamiliar using target language examples, circumlocution, and visuals, etc. to reinforce their meaning. the endings on the adjectives and what they say about the nouns they are describing. The teacher might follow up with asking students to change the nouns in the memes. For example, in the meme with the giraffe, students can rework the quote to include a noun that is feminine, plural, etc. The small groups of students may then be asked to create a meme of their own using ideas from the examples. The tweets below are authentic social media posts that all demonstrate the comparative in Spanish. The teacher searched for them in Twitter by inputting phrases like “más que” and “menos que.” Consider how a teacher might initially have students interact with the tweets as an interpretive task (deriving meaning from them) and then use the same tweets to examine how the comparative works in Spanish. Students may be asked to highlight or circle the items/ideas being compared in each sentence and draw conclusions about what determined the ending of each adjective. Poems and song lyrics are types of authentic text that are very friendly to teaching grammar as a concept in context. Many of our language colleagues have aligned popular songs and famous poems in the target language to grammatical structures that they demonstrate in context and have generously shared those lists/databases with the rest of us. The teacher draws the students’ attention to the verbs in the meme and their tenses. She tells them that they will be listening to a song with a similar title and theme, “Wenn ich könnte wie ich wollte,” by Howard Carpendale. 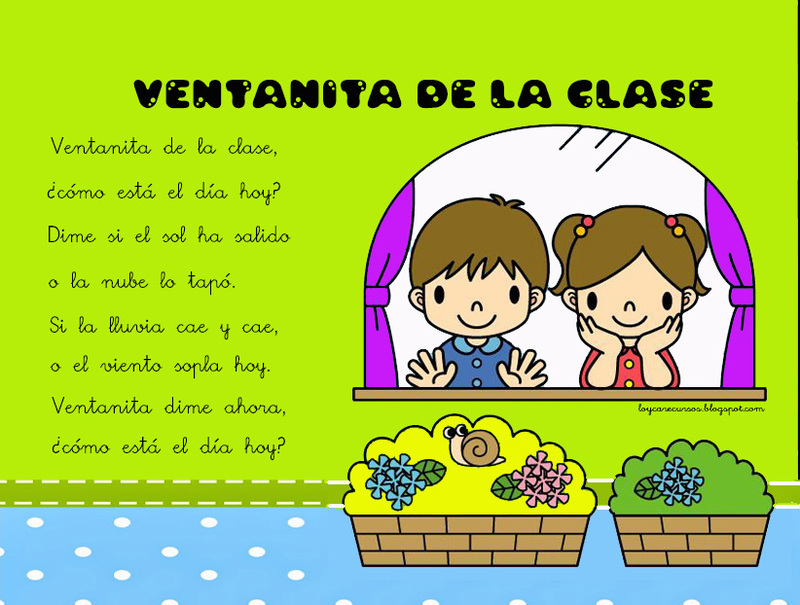 The students are given a cloze activity with the lyrics to the song where all of the subjunctive forms (and other phrases) are removed and the students fill in the verb forms. As they listen to the song, they check their answers and fill in other missing phrases. The students share their answers in small groups and then listen a final time with all lyrics complete. Authentic resources are created by and for the target language users either for information or entertainment. They are texts that students can read, listen to, or view in the target language. Much attention is paid to written authentic text. For this post, let’s turn our attention to building students’ interpretive skills with authentic text for listening and viewing. 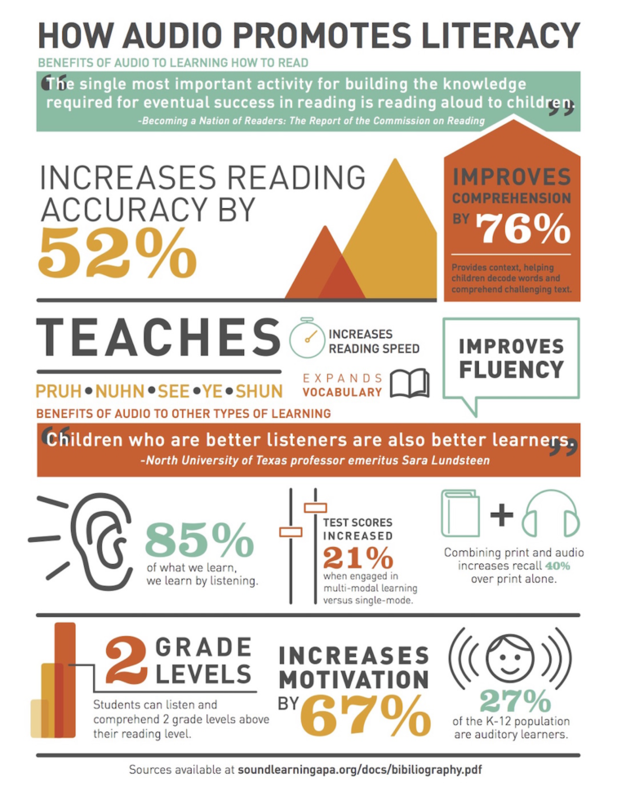 As indicated by the infographic below, listening has many benefits which include increasing literacy, fluency and motivation. When considering having students listen or view authentic text, we must first anchor ourselves in the NCSSFL-ACTFL Can-Do Statements that describe what students can do in the Interpretive Mode at the various proficiency levels. Novices can: identify words and phrases, some isolated facts, and the topic or gist of an authentic text that is composed of simple sentences that is listened to or viewed. Students at the intermediate level can: identify the main idea and some details from short straightforward authentic text and conversations. complete a cloze activity with the commercial transcript. Students are given two columns of adjectives/descriptors. As they listen to/watch the commercial they connect the opposites. The approach for teaching students how to listen to or view an authentic text (with audio) is very similar to that of teaching students how to read an authentic text. Students listen/view for words they know, words that sound like words they know (cognates), and figure out meaning of words based on context. Similarly, students can use during reading strategies for listening and viewing (with audio) as well. What makes listening and viewing very different from reading as an interpretive skill, is that the text (unless the transcript is provided or there are subtitles) is not visible to the student. To overcome this challenge (of not being able to see the words), students can be taught skills for capturing ideas they listen to through the use of a variety of strategies. Visual notetaking or Sketchnoting is a strategy whereby students draw symbols and pictures to indicate their understanding of a text. The result is a visual version of the text that was listened to or viewed. Included in the examples of authentic text are visuals like photographs and fine art. How do we teach students to interpret text like pictures? A great scaffold/support for students to practice how to interpret a picture is a “Picture Description Frame.” Here’s an example below for Italian. Students lay the “frame”(with the center cut out) over the picture and use the expressions around the perimeter of the frame to help them describe the visual either through speaking or writing. During a unit on leisure activities, students view the painting called “A Sunday Afternoon on the Island of La Grande Jatte” by Georges Seurat. The students overlay their “description frames” onto the image. Then, the students use the prompts around the frame to assist them with describing the picture either orally or in written format. What topics are of high interest to 21st century language learners? Current fads like fidget spinners? Protecting the environment by recycling? The impact of natural disasters? Imagine that you are beginning a unit on the topic of school. What interests your students about schools in the target language country/countries? Do the students have to wear uniforms? What do they have for lunch? What supplies do they need for school? Do they use cellphones/technology in their schools? Are their backpacks heavy like ours? Do they have after school activities? These questions provide a rich context for the “school unit” as the teacher plans tasks and activities for the daily lessons. In addition, students feel empowered that the teacher asks them about their interests and may be more engaged in class tasks because they feel that they have contributed to the plan. What students write in the “K” column reveals what students already know about the topic. It may include vocabulary words, phrases, beliefs, and misconceptions. Teachers can use this information to recognize knowledge students bring to the topic and use that information as a starting point for the unit theme. Student thinking recorded in the “W” (What I’d like to learn) column gives teachers information about how to craft lessons that will address students’ interests, and therefore should increase student motivation and engagement. The lesson hook authentic text can be used as a jumping off point to any number of learner-centered tasks like interpersonal exchanges or a free write. They can also begin a conversation about grammar and syntax in context. In a novice high/intermediate low level Spanish class, during the unit on leisure activities, the teacher has discovered that many students in the class are fans of FIFA and/or play on the school soccer teams. Guided by the interests of the students, the teacher shows two infographics from a Pinterest board called “Radiografías Mundialistas” to review with students how to express comparatives and superlatives in preparation for a performance assessment where students must compare and contrast two texts. The teacher then puts students into pairs. Each pair selects two countries’ soccer teams from the Pinterest board and read the information on the infographics for those teams (ex.Uruguay and Suiza). They work together to glean the similarities and differences between the countries and teams. 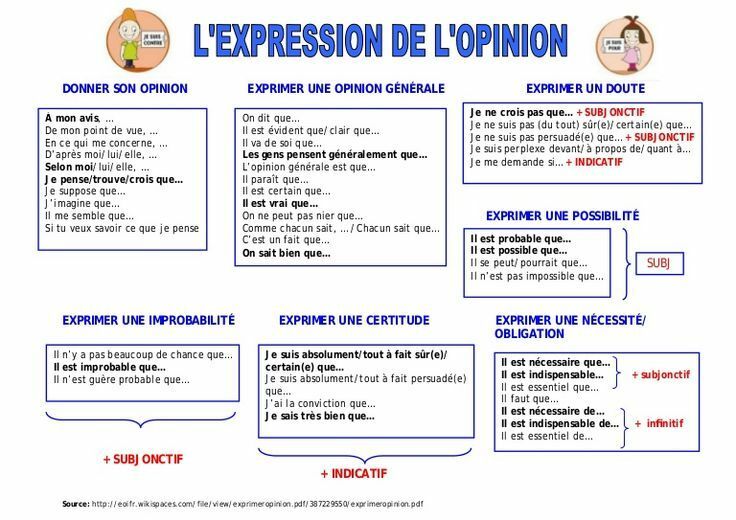 The teacher provides them with a list of the expressions reviewed earlier in the lesson. Each pair creates a quiz using Google Forms that consists of the two infographics, three true comparison statements about them, and two false ones. Classmates take each pair’s “quiz” through the Google Forms. 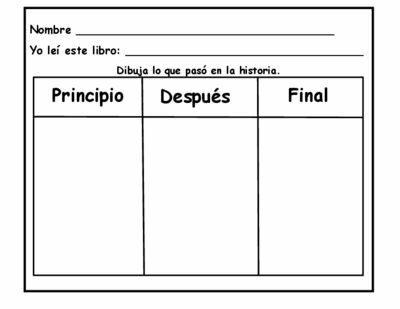 As students move across the proficiency continuum, a great goal to work toward is to have students conduct discussions in the target language about the authentic texts they have interpreted. As is described in the NCSSFL-ACTFL Can-Do Statements, students work toward being able to participate in discussions once they reach the intermediate high proficiency level and beyond. It is important that we begin to build students’ skills early on in their language learning experience, beginning with highly scaffolded, simple discussions to more in-depth, spontaneous ones. So, how do we put novice language learners on the pathway toward being able to participate confidently in discussions in the target language? protocols for discussions: taking turns, using gambits or conversational fillers, building off of what group members have said, assigning group roles, etc. a routine or strategy that serves as a framework for the discussion. Click on the image below to explore a variety of discussion strategies. In an intermediate level Spanish class, the teacher shows this quote by Pablo Neruda during a unit on Personal and Public Identities. The teacher asks students to write a summary statement in the target language about the quote. Students work in groups to discuss the benefits of traveling, reading, and listening to music and each student records their group’s ideas on a graphic organizer. When ready, students move to mixed groups to share their group’s ideas. They conduct a conversation with their classmates using the “Bounce” strategy in the target language. Additional ideas generated by the group are added to the graphic organizers. Authentic texts provide real world contexts for language learners. They are motivating and engaging to students because they are relevant and meaningful to native speakers of the language. This blog post explores ways to marry technology tools with the interpretation of authentic resources. Our 21st century learners view technology as a natural part of their every day lives. Technology is a tool for collaborating, for creating and curating, for communicating, and for doing research. When selecting technology tools to implement into classroom activities, consider the SAMR model. The SAMR model was developed in 2010 by Ruben Puentedura to describe the four levels of technology integration. Students create a game about the content from the authentic text.